In this article, we list Microfinance Institutions in Kenya, let us know if there is any that we’ve left out in the comments section. Currently, the biggest population of Kenyans is unbanked and if they are banked, their saving is minimal. This means that they do not qualify for big loans in mainstream or Tier 1 banks. This is where Microfinance Institutions in Kenya come in. there is a constant need for finances while the streams of income are few. As such, most people result in borrowing and acquiring small loans from MFIs in Kenya. This is why we have prepared you a list of microfinance institutions in Kenya that can boost you in the time of need. Microfinance institutions in Kenya offer small loans, or micro-loans, to people unable to access conventional loan services. Microfinance institutions in Kenya vary in size and function with some organizations focusing entirely on microfinancing. Others microfinance institutions work as extensions of large investment banks. The world over, people living in under-developed areas such as Latin America, Asia and countries within the Sub-Saharan region can access needed financial resources through the services provided by microfinance institutions in Kenya. This is one of the biggest community-based Microfinance Institutions in Kenya. The MFI has its headquarters in Rongai within Kajiado County. Like with Faulu, you can deposit into Choice Microfinance Bank using M-Pesa Pay Bill. Their products and services include loans and savings accounts such as Faidikeni Fixed Deposit Account and Asset Mali Account. Choice MFI started as a diaspora story that has evolved to become a local story as well. It is a link of Kenyan Diaspora Investments to the local people’s need for small credit facilities to improve their livelihood and break the poverty cycles. Microfinance Institutions in Kenya are popular due to their flexible loan repayment periods. Choice Microfinance Bank loans can be repaid within 3, 6, 9 and even 12 months. This MFI also doubles up as a deposit-taking institution that lends loans in Kenya. It is one of the leading microloan lenders in Kenya with several branched scattered across the country. With Faulu, Kenyans can deposit using M-Pesa. Faulu has a wide network within Kenya and is well represented in every county from their headquarters in Nairobi to the far-away Isiolo County. You can use mobile banking, ATMs and Faulu Agents to transact on Faulu Kenya. Like most Microfinance Institutions in Kenya, Faulu loans are flexible, accessible, processed within 12 hours, and have affordable interest rates. This MFI focuses on retail banking, group banking, asset financing, provision of credit to businesses and church banking. The National Council of Churches of Kenya (NCCK) is the largest SMEP shareholder, in addition to over 10,000 other shareholders. SMEP is among the microfinance institutions in Kenya that offer small loans, with Group loans as low as Ksh 5,000. To get a SMEP Group loan, create or join a registered self-help group of fifteen or more members. This is one of the oldest and one of the most popular microfinance institutions in the country. It is also one of the biggest Deposit Taking Microfinance Institutions in Kenya and was licensed to operate as an MFI by the CBK on 31st March 2010. KWFT has branches all over Kenya. The MFI has both savings and loans accounts that are open to all women and girls in Kenya. KWFT has over 600,000 clients and over 231 branches in all counties in Kenya. As its name suggests, KWFT has a mission to empower women–and in the process enrich the lives of entire families, communities and the nation at large. Loan instalments can be deposited to the bank using M-Pesa. This is one of the youngest Microfinance Institutions in Kenya, having been registered in 2009. 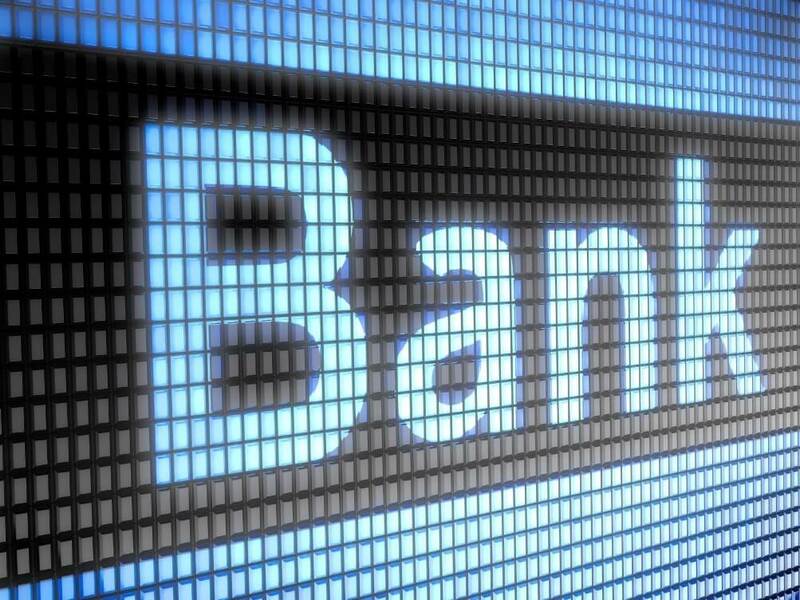 Mobile banking is at the core of Musoni–“M” stands for Mobile and Usoni is Swahili for “future”. Musoni has no hidden fees and does NOT charge registration fees. It is, perhaps, the most “paper-less” of all Microfinance Institutions in Kenya. All Musoni funds are sent and received through mobile money. Musoni loans are accessible and easy to apply for–loans are processed and available in your account within 72 hours. This MFI has many branches where you can chat with their staff, but all money transactions are done through mobile. 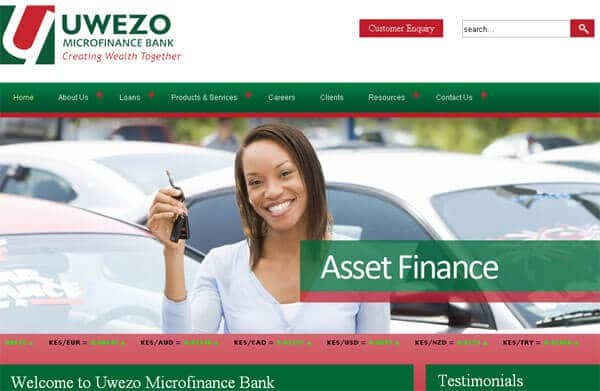 Uwezo provides both savings and loans facilities. It facilitates wealth creation and better living for individuals, groups and Small and Medium Enterprises (SMEs) in Kenya. This MFI offers short-term loans that are affordable and flexible. Their farmer loans are perfect for those who are into smart farming in Kenya, cattle rearing, tomato farming and other farming ventures. Park Plaza Branch: Park Plaza, Ground floor, Moktar Daddah street. This is one of the MFIs in Kenya that offer diaspora banking, savings and loans products. Get affordable asset finance, loans for Chamas and Saccos. Farmers can open a Kilimo Biashara Account to receive affordable farming loans. This MFI specializes in providing credit to agri-businesses in Kenya. Like most Microfinance Institutions in Kenya, Century Bank also provides loans. You can save by regularly using M-Pesa to deposit into your Century Microfinance Bank account. The MFI has a handful of branches around Nairobi, the central region and western. The headquarters are in Gikomba and other offices are located in Githurai. This is another Microfinance institution in Kenya. It is quite new but has a huge customer base and it is growing fast. Momentum Credit was founded in March 2017 with purposeful intent to meet an overwhelming market need of providing structured working capital solutions to Individuals and Small Medium Enterprises (SMEs). Head Office: International Life House Nairobi. The general criteria might include gender (as in the case for special women’s loans), age (at least 18 years of age), a valid Kenyan ID, a business, an ability to repay the loan and be a customer of the institution. Interest rate: They are mostly calculated on a flat basis and some at a declining balance. More than 90% of the institutions require monthly interest payments. The average interest rate is 30-40% for loans up to 500,000 Kenyan Shilling. For loans above 500,000 Kenyan Shilling, interest rates go up to 71%. Most Microfinance Institutions in Kenya (MFI) are using M-Pesa to provide micro-credit to their clients. The MFIs in Kenya are licensed and regulated by the Central Bank of Kenya (CBK). This is under the Microfinance Act of 2006 and the Microfinance Regulations for Deposit Taking MFIs of 2008. These regulations involve licensing and supervision of the establishment of MFIs. They also regulate the business operations of all Microfinance Institutions in Kenya.